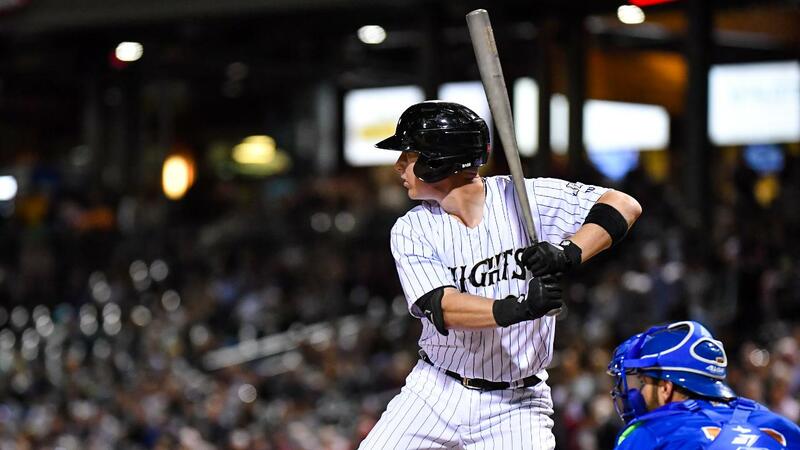 (INDIANAPOLIS, IN) - The Charlotte Knights jumped out to an early lead, but the Indianapolis Indians came back to earn a 9-2 win in game two of their four-game series on Thursday night from Victory Field in Indianapolis, IN. Leading off the game, Charlie Tilson reached on an error and later came around to score on a sacrifice fly from Zack Collins to give Charlotte an early 1-0 lead. The RBI is Collins' 10th of the season to lead the Knights and rank second in the International League. RHP Jordan Stephens (0-2, 10.61) got off to a strong start, striking out five over the first two innings to keep the Knights in front. But the Indians scored five runs in the third and three in the fourth put the game out reach. Stephens finished with eight runs against, all earned, on 10 hits with four walks and five strikeouts. In relief, Colton Turner was sharp as he threw 2.2 scoreless innings and Aaron Bummer tossed a scoreless seventh inning in his season debut. Caleb Frare came on for the eighth and gave up a run in his season debut for the Knights. Nicky Delmonico recorded two of the Knights' three hits in the loss. The Knights will continue their four-game road series against the Indians (Triple-A affiliate of the Pittsburgh Pirates) on Saturday night. Pre-game radio coverage of Saturday 7:05 p.m. game is set for 6:50 p.m. on 730 The Game ESPN Charlotte. Dave Wilson will have the call for all of the action. RHP Spencer Adams is set to get the start on the mound for the Knights.